Like an unwanted houseguest, student loan debt has found its way into American families and doesn’t appear to be leaving anytime soon. Very few students can afford to pay for their medical college education without various forms of assistance. Whether it’s in the form of grants, scholarships, federal loans, or private loans – some type of aid is usually necessary to make a college dream happen. As a physician, you probably know all too well how much it costs to finance this college dream. Between your undergraduate and medical school years, you most likely have your fair share of loans. But the fair share of what exactly? How much is your debt compared to the average student in America? Is overall student loan debt growing or decreasing? Does any of this even matter when it comes to paying down your loans? We have asked ourselves the same questions hoping that maybe we can find a piece of useful information among all the statistics. The truth is student loan debt is much more than a set of statistics waiting to be analyzed by a bunch of financial gurus. Student loan debt is a very real and personal challenge that many of us are trying to figure out how to solve each month. The goal of sharing all of these facts with you is not to alarm you or throw out several meaningless numbers. Instead, we want you to be able to make an informed decision when it comes to managing your student loan debt. Perhaps by seeing the trends in the United States, it can raise awareness for different options that are available to you and how others are taking advantage. And as you will soon see, you are definitely not alone when it comes to owing money for student loans. Here are 10 facts that we are learning from the latest statistics regarding student loans. Yes, you read that correctly. The latest statistics from the Federal Reserve for Q3 2018 show the total amount of student loan debt in the United States alone has hit a record $1.5 trillion dollars. To put that amount into perspective, the amount of motor vehicle loans is around $1.1 trillion dollars and credit card debt is around $1 Trillion in 2018. It used to be that a car payment was your biggest monthly expense, behind your mortgage payment each month. But now student loan payments are well above the vehicle expense for a monthly budget. And with the total amount that Americans owe coming in at $1.5 trillion, student loan debt is now a permanent part of many monthly budgets. Student loan debt is officially hitting crisis mode. If the $1.5 trillion isn’t enough to make your head spin, then you may be surprised to know that student loan debt has doubled since 2009. If you look at the amount of debt that the Federal Reserve tracked in 2009, the country held a mere $700 billion compared to the 2018 numbers. It’s hard to believe that there was actually a time when $700 billion in student loans seemed like a smaller, more manageable amount. Maybe 10 years seems like it was such a long time ago, but for many of you, it could have been when you were first starting college. It’s almost hard to imagine that the amount of debt in the United States has doubled in size just since you were first starting your journey. This statistic is interesting because it sends a couple of different signals. One is that Americans need money to pay for their education. And two, it appears be getting easier for people to access loans for their education. The average amount of student loan debt is roughly $35,000 per person. This amount is an average based on the $1.5 trillion divided among the 42 million student loan recipients statistic published by the Federal Reserve for 2018. But when you dig a little deeper into the numbers, you can see other notable tidbits. Of the 42 million student loan recipients, almost 4 million people have over $75,000 in student loans. Roughly one out of ten student loan holders are carrying this large burden of debt. The amount of the debt is not only a cause for concern, but it is a number that will have to be dealt with when you go to apply for a mortgage, a vehicle loan, or even a new credit card application. Until the student loan debt has been paid, it will follow you around and constantly rear its head as you try to purchase big-ticket items. The amount of time that it can take the average student loan holder to pay off their amounts is a little trickier to determine. If you have federal loans and are participating in an income-driven repayment plan, then you will have a minimum of 10 years to pay that amount (generally speaking). But then there is an extended payment program that will actually allow you up to 25 years to repay your federal loans. If you participate in either the PAYE or REPAYE program, then you will have between 20 to 25 years for the repayment. If you are working towards the PSLF requirements, then you have also made payments towards loans for at least 10 years (120 payments) before you can start seeing the benefit of forgiveness. We spend a lot of time discussing the Public Service Loan Forgiveness program, or the PSLF, here at financialresidency.com. There is quite a bit of detail behind this program, and we encourage you to research it as much as possible. Since this program is now hitting the 10-year mark, there is a lot more data to be able to examine. Remember, you have to have paid a minimum of 120 payments to be eligible for the loan forgiveness, so we are now starting to see an increase in recipients as the program has matured since its inception in 2007. Currently there are about 875,000 borrowers that are also listed as “PSLF borrowers” in the national student loan database. When you compare this number to the overall 42 million that we mentioned earlier, then that number suddenly becomes a tiny fraction of the overall amount. What about you, are you currently working towards the PSLF guidelines? The good news is the data shows you are definitely not the only one. The numbers are increasing each which would indicate that more and more people are beginning to realize the advantage of this program. Perhaps you, like many others, may have recently read reports about the disappointing numbers being reported regarding the limited number of loans being forgiven. Truthfully, even when you break down the numbers, we believe the benefits of the PSLF program are only beginning to be realized. Don’t let any recent reports discourage you from pursuing this in the future. It is still a viable option for those who are willing to work in a public setting. There are over 18 million who are participating in one of the income driven repayment plan options. The numbers of those participating also continue to increase each year. There are several options when it comes to one of these repayment plans. It can be difficult to keep up with the different factors for each one, but taking advantage of this can save you money on your loans in the long run. Again, at Financial Residency, we devote a lot of content to the income-driven repayment plans, especially since there are so many questions behind each program. While these repayment plans are only available for those who hold federal loans, these programs could be essential in helping manage your student loan repayment timeline. One thing the statistics do show is that an income-based repayment plan, which allows you to pay off your federal loans within a defined 10 year payment plan, is the most popular option. Currently, there are almost 3 million recipients, of the 42 million, who are participating in this repayment option. The second most popular option is the REPAYE program, followed by the Pay As You Earn option (PAYE). There are another 3.5 million who are participating in these two programs with their federal loans. As mentioned earlier, each of these programs has different guidelines on when you would need to repay your federal loans. Even though 10 year is the minimum, you can also find a 20 or 25-year repayment plan, based on which program you are enrolled in. While it is harder to find the statistics surrounding private loans, the federal student loans data shows us the trend is growing with the number of defaults. A federal student loan that has gone into default is one in which a payment has not been received in over 90 days. In 2018, over 5 million loan holders have gone into default. This means that about $97 Billion of student loan debt is not currently being paid. The other piece to this statistic is that the rate of default has more than doubled since 2013. This tells us that more and more people are struggling to make at least one payment towards their federal student loans. With the burden of student loans continuing to grow, it is doubtful this trend will reverse anytime soon. Defaulting on a loan is rarely a sound financial solution, yet so many people clearly see it as an only option. Before you find yourself in a situation where you could be facing default, this is the time to ask if you have exhausted all of the options available to you as a federal student loan recipient. Over 42 million people have received some type of federal student loan, as of Q3 2018. Direct Loans make up the majority of those federal loans, followed by the FFEL loans. There is still a small group of Perkins loans recipients (2.4 million), but those loans are no longer administered as of 2017. The numbers for private loans are also concerning. The latest numbers, which are from 2014-2015, show that private loans for education had reached the $7.8 billion level. 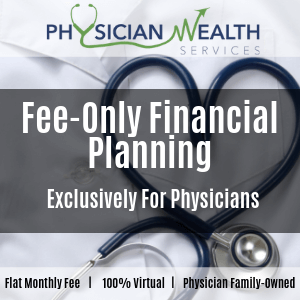 If you have had to finance both your undergraduate and medical school, then there is a high chance that you have a combination of both federal and private student loans. In general, if you are applying for student loans, then the best option will be to utilize federal loans first. Then, if you need additional funding and have exhausted all of the federal options, a private loan could be considered. Federal loans have several advantages over private loans such as the income-driven repayment plans, consolidation options, as well as forgiveness through the PSLF program. Depending on which type of federal loan you are applying for, the income requirement can be very lenient as well. Consolidation of Federal Loans continues to be a popular route that many federal student loan holders are clearly utilizing. And since this is one of the only ways to consolidate your loans and still remain eligible for the PSLF program and the repayment plans, then it stands to reason that the consolidation numbers will continue to grow. As of Q3 2018, almost $502 billion of federal student loans have been consolidated. This number has been steadily climbing over the years. There are now over 12 million recipients who have taken the consolidation route. What about you and your federal student loans? Have you considered the process of consolidation? There are several benefits offered through consolidation such as the convenience of one monthly payment, eligibility for the income-driven repayment plans, as well as a fixed interest rate. There are also zero application fees for the process so you don’t have to worry about that additional expense. The words deferment and forbearance might conjure up images of contracts and attorneys but these are actually very real scenarios that many student loan holders are finding themselves needing to learn. Deferment of a student loan refers simply refers to postponing a student loan payment, without having to pay the interest during the deferred time period. There are several scenarios where this might happen. You could be enrolled in school, you could be a deployed member of the military, or you could qualify for an economic hardship. Currently, there are over 3 million federal student loan holders that are utilizing the deferment process. Most notably this amount is almost made up entirely of in-school deferment. Forbearance is another word used often when talking about student loans. Forbearance is a slightly different scenario than the deferment of loans. It is more of a temporary suspension due to administrative paperwork for the loans, financial or medical hardships, or several other scenarios. You are also responsible for paying the interest, which is accruing during this time period. When you participate in a residency program (notated as “mandatory”), you can qualify for the forbearance on your student loans. Keep in mind that while it may be tempting to temporarily suspend your payments, the time period that you are in forbearance will not quality towards the PSLF program. You would most likely be better off applying for an income-driven repayment plan then opting for forbearance. The majority of recipients who are classified under “forbearance” is due to administrative paperwork. Less than 900,000 recipients are classified under the mandatory forbearance guidelines. The statistics tell the truth. The student loan debt is growing and the amount per person is continuing to grow. Not only is the amount growing, but the number of years it takes to pay off these amounts are also lengthening. This could prove to be especially troublesome as you are starting a family, trying to buy a home or a car, or any other major life events. These numbers may seem too large to tackle, and perhaps they are for just one person. But personally, you owe it to yourself to make sure you are taking advantage of all the options available to you. Whether it’s the PSLF program, consolidation, or an income-driven repayment plan. Any or all of these programs can provide you additional relief as you try to manage your student loan debt. The student loan debt crisis doesn’t have to keep you from being able to achieve your financial dreams in the future. Hopefully, these statistics show you that now is the time to put plans in place to manage your student loans.